Arkansas Symphony Orchestra musicians in three different ensembles present music from Beethoven, Vaughn Williams, and a special arrangement of Strauss’s Till Eulenspiegel, the Merry Prankster at 7pm on Tuesday, November 17 in the beautiful Great Hall of the Clinton Presidential Center. 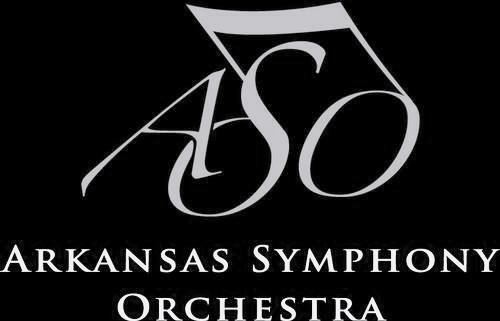 Tonight at 7pm, the Arkansas Symphony Orchestra’s final 2013-2014 concert of the Parker Lexus River Rhapsodies Chamber Music Series will feature ASO Musicians playing Wagner, Beethoven, Theofanidis and Piazzolla. The concert will be held at the Clinton Presidential Center. The program is an intimate showcase of the ASO’s musicians. General Admission tickets for River Rhapsodies concerts are $23, and Student tickets are available for $10. Tickets can be purchased online at www.ArkansasSymphony.org, over the phone at (501) 666-1761 or at the door. Beethoven’s “Ghost” Trio is so-called because of its eerie slow movement. It is speculated that the ghostly sound may have been influenced by Beethoven’s thoughts of composing a Macbeth opera. Bordello, 1900: The tango originated in Buenos Aires in 1882. It was first played on the guitar and flute. Arrangements then came to include the piano, and later, the concertina. This music is full of grace and liveliness. It paints a picture of the good natured chatter of the French, Italian, and Spanish women who peopled those bordellos as they teased the policemen, thieves, sailors, and riffraff who came to see them. This is a high-spirited tango. Café, 1930: This is another age of the tango. People stopped dancing it as they did in 1900, preferring instead simply to listen to it. It became more musical, and more romantic. This tango has undergone total transformation: the movements are slower, with new and often melancholy harmonies. Tango orchestras come to consist of two violins, two concertinas, a piano, and a bass. The tango is sometimes sung as well. Night Club, 1960: This is a time of rapidly expanding international exchange, and the tango evolves again as Brazil and Argentina come together in Buenos Aires. The bossa nova and the new tango are moving to the same beat. Audiences rush to the night clubs to listen earnestly to the new tango. This marks a revolution and a profound alteration in some of the original tango forms. Modern-Day Concert: Certain concepts in tango music become intertwined with modern music. Bartok, Stravinsky, and other composers reminisce to the tune of tango music. This is today’s tango, and the tango of the future as well. Wagner composed Siegfried Idyll – in honor of his son – for his wife, Cosima. The piece was very private and filled with references of personal significance to the composer and his wife, many of which went unknown to the public for a long time. The Arkansas Symphony Orchestra celebrates its 48th season in 2013-2014. Under the leadership of Music Director Philip Mann, the ASO performs more than thirty concerts each year for more than 42,000 people through its Stella Boyle Smith Masterworks Series, ACXIOM Pops LIVE! Series and River Rhapsodies Chamber Series, in addition to serving central Arkansas through numerous community outreach programs and bringing live symphonic music education to over 24,000 school children and over 200 schools.